As a new service to my readers, we now have an official Medicare expert who will answer your questions. The expert is Danielle Kunkle Roberts, a recognized Medicare insurance expert and Forbes Finance Council member. Some of you may have already read the helpful guest posts which she has written for this blog over the past few months. Expect to see more of her posts in the coming years. Medicare is an important consideration as Baby Boomers plan their retirement. 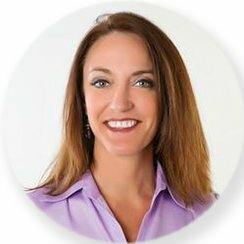 You will find Danielle's contact information listed permanently in the sidebar of this blog, so you can reach out to her with your questions whenever you wish. Medicare, Substance Abuse, Addiction and Alcoholism - This article explains what your Medicare treatment benefits would be for substance abuse problems. Whether you or someone you love needs help getting off opioids or has a problem with other addictions, this article will give you the information you need. Medicare Coverage of Heart Disease - Another concern for retirees is how Medicare covers heart attacks and other heart disease issues. Find out what coverage you will get through Medicare and how to supplement Medicare to optimize your benefits. Medicare and Cancer Benefits - Prevention, Diagnosis and Treatment - A cancer diagnosis is terrifying and the last thing you want to worry about is your health insurance coverage. This article explains what is covered by basic Medicare and how to supplement those benefits. Although I have been approached by other people who have been interested in covering Medicare on this blog, I have found Danielle to be especially helpful and highly qualified to help my readers. She is one of the founders of Boomer Benefits. "Founded in 2005 in Fort Worth, TX, Boomer Benefits is an award-winning insurance agency for national insurance carriers such as Blue Cross Blue Shield, Aetna, Cigna, Mutual of Omaha and many other A-rated carriers. We are licensed in 47 states. Over the years, we’ve learned just about everything there is to know about Medicare, and we’ve become known as the baby boomers insurance agency. We pass that knowledge on to you – absolutely free. There is never a charge for our services. Boomer Benefits Consulting is free." It is my sincere hope that my readers will take advantage of the services of Danielle Kunkle Roberts and the other agents at Boomer Benefits. I will be interested in getting your feedback about this service. You can use the contact section on the sidebar, under my picture, to leave your comments. If you are interested in learning more about other retirement topics, including Social Security, financial planning, where to retire in the US and abroad, common medical problems and more, use the tabs or pull down menu at the top of the page to find links to hundreds of additional articles on a wide variety of topics. This is a phenomenal benefit to your readers and an additional perk to your blog. Thanks for setting this up! I sincerely hope that people will take advantage of this service. Medicare can be an incredibly confusing product and, if people do not choose the right supplement or Advantage plan, their mistake can end up being expensive.